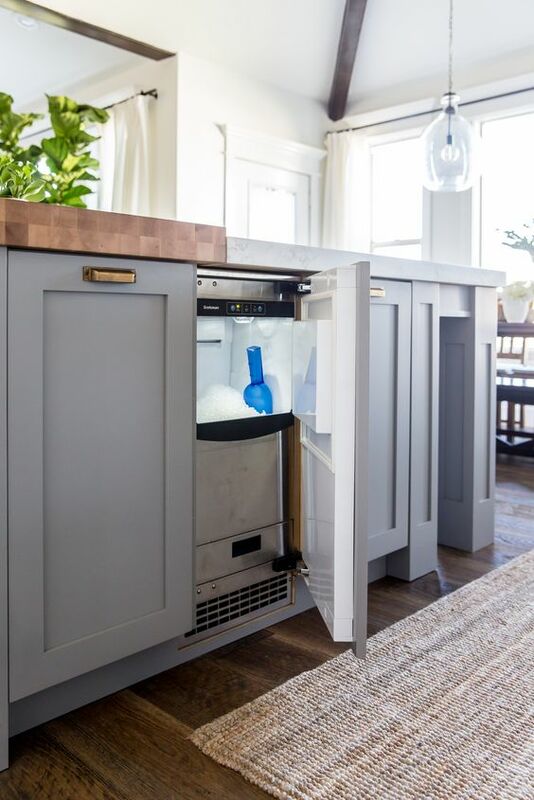 Often overlooked, the ice maker is an area of your home that should be cleaned regularly as food particles and crumbs can find their way inside. We recommend cleaning your ice maker four times per year to keep things fresh. There’s no need to worry about The Laundress products coming into contact with food-related surfaces. All of our products are toxin-free, eco-friendly, and cruelty-free. Of course, you’ll want to wipe and rinse surfaces properly, so cleaners don’t compromise the taste of your ice. Remove the ice or empty the ice basin. Use hot water to remove large pieces of frozen ice or ice stuck to the ice bin. If your ice bin is not able to be removed from the machine, use a dull knife or other utensil to pick away at the ice. Wash the ice bin using the Dish Detergent and hot water. If the bin cannot be removed, use the Surface Cleaner and the Lint-Free Cleaning Cloth to wipe down the entire surface area inside the machine. To remove bacteria inside the machine and within the ice storage bin, wipe these areas down using the Lint-Free Cleaning Cloth and the Scented Vinegar. If your ice maker has buildup or water residue, dissolve a capful of the All-Purpose Bleach Alternative in hot water and wipe down the machine and ice storage bin using the Lint-Free Cleaning Cloth. If the ice bin was removed during the cleaning process, reinstall. 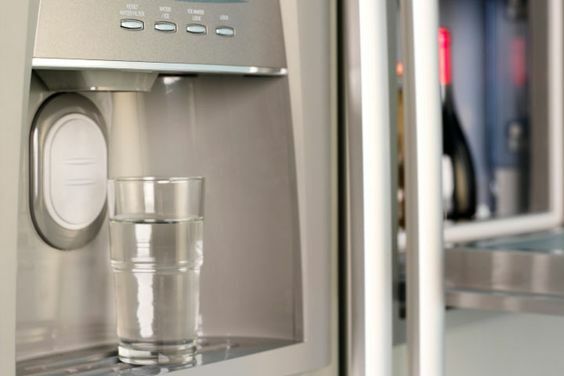 Plug in or turn on the machine, and run the ice maker through a cleaning cycle. Dump the ice that results from this cycle, refill the machine with clean water, and run a second cycle. Dump the ice again, and reattach your water supply to finish. Lift the ice maker “power” bar. This bar will lift automatically once the ice bin is full, stopping the machine from making more ice until put back into place. If there is no “power” bar, find the on/off switch at the back of the machine and turn it off. Remove the ice bin by sliding out like a shelf or by lifting up and out, and dump the ice into the sink. 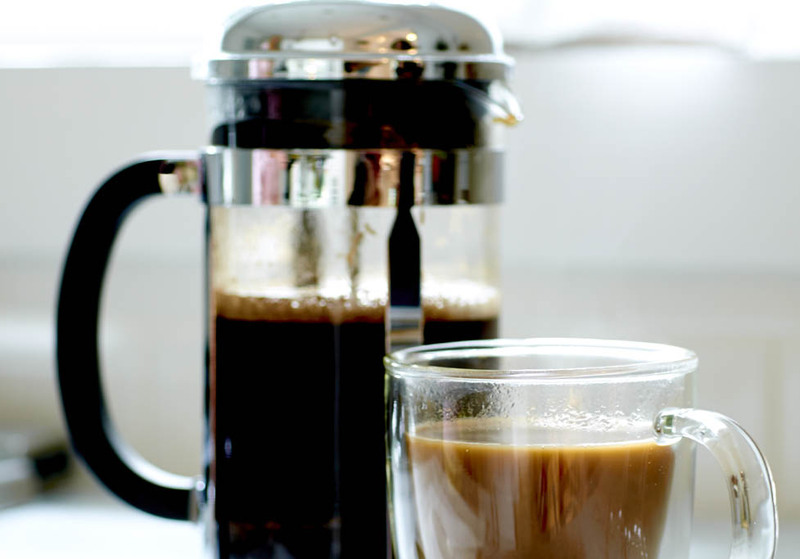 If ice is stuck to the bin or frozen in large pieces, fill the bin with hot water to remove. Using the Lint-Free Cleaning Cloth and the Surface Cleaner, wipe down the ice maker unit inside the freezer. Use a dry portion of the cloth to wipe the area dry. Wash your ice storage bin using the Dish Detergent and hot water. Use the Scrub Brush to remove and debris or residue that may have found its way in there. To remove bacteria from the ice maker unit in the freezer and the ice storage bin, wipe these areas down using the Lint-Free Cleaning Cloth and the Scented Vinegar. If your ice maker has buildup or water residue, dissolve a capful of the All-Purpose Bleach Alternative in hot water and wipe down the machine and ice storage bin using the Lint-Free Cleaning Cloth. Give all areas one last wipe down The Laundress Lint-Free Cleaning Cloth to ensure both are dry and turn the ice maker back on.